2016 has been pretty insane! From leaving my job in LA to moving to Portland, starting the Fun Life Crisis blog and traveling around, this year has been full of surprises, discoveries, and new experiences. For a girl that has lived in the concrete jungle for the last 15 years, anything different and green seems pretty “out of this world”, but here are some of my favorite places visited in 2016. Before moving to Oregon, I had never seen or imagined anything like the Oneonta Gorge. It was one of the first places I explored when I moved to Portland and whenever somebody came to visit, I was sure to take them there just to get a chance to see it again. Located in the Columbia River gorge next to some other amazing waterfalls like the Multnomah Falls (2nd biggest in the US) and Latourell Falls, the Oneonta Gorge has stood out to me the most. Getting to the Oneonta waterfall is an experience of its own and a memory of a lifetime. You start off by climbing over a fort of logs and rocks, followed with a swim through ice cold water just to reach the beautiful waterfall at the end. As they say “Nothing good comes easy” and in this case, the extra effort is 100% worth the experience. 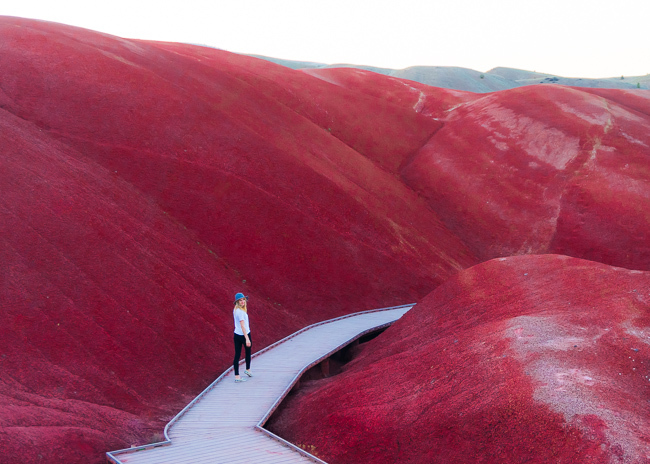 Painted Hills is a place that feels like it doesn’t belong in our world. If you are coming to visit Portland and have the extra time to make the 4 hour drive, take the trip and you won’t be disappointed. The Painted Hills earn its name from the waves of colors that cover these rolling hills. The best colors can be found during the sunset, when the hills show off bright reds, oranges, and yellows. Some parts of the hills even have walkways placed for the visitors to walk on. The whole place leaves you feeling like you just visited Mars and got to take a walk on a foreign planet. I have never seen water this blue until I arrived at the Emerald Lake in Canada. Although the nearby Moraine Lake and Lake Louise always get recognized as the most beautiful lakes in the Canadian Rockies, for me Emerald Lake was my favorite. 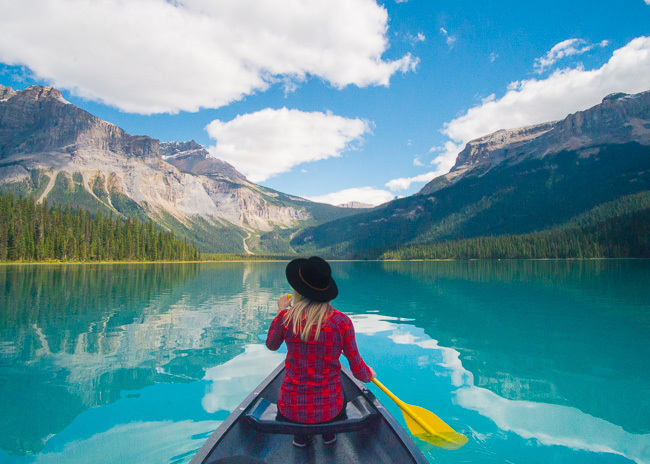 After arriving at this beautiful lake, we rented a canoe and rowed around exploring the lake and it felt so surreal that I didn’t want to leave. It’s the perfect place to visit during the summer if you want to spend a relaxing day away from the busy city life. One of the biggest surprises this year was my visit to Mexico City because it was nothing like I had imagined. Prior to arriving in Mexico City, I was expecting what movies typically portray which is street crime, tourist haggling, and poverty, but this couldn’t be further from the truth. Mexico City is filled with beautiful architectural wonders, amazing restaurants, and friendly locals. 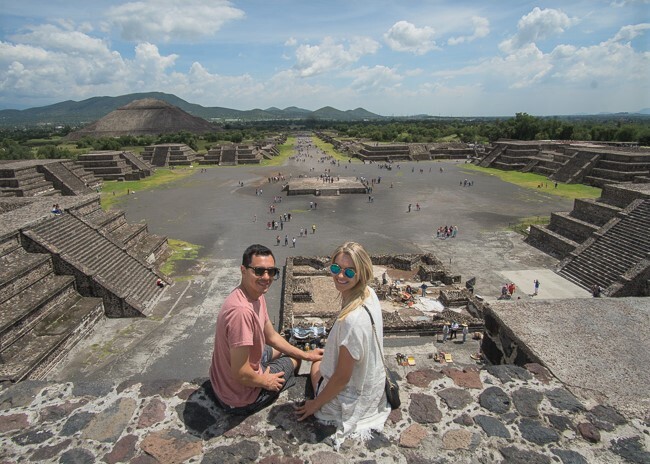 Choosing one place that I liked the most in Mexico City was almost impossible, but one experience that was extra special was visiting the Teotihuacan Pyramids. We got to spend a whole day exploring two thousand-year-old Pyramids, walking in between the ruins and even climbing to the top of them. Where else can you sit on the edge of the third largest pyramid in the world with an ant view of an ancient city below imagining what life was like thousands of years ago? Typically these hot springs are packed full with people, but sometimes the stars align, the timing is just right and a solitude visit is not that farfetched. After a snowstorm, most people stay off the roads yet we packed our car full of camping gear and drove down to the Umpqua Forest for a day hike to these hot springs. As we arrived at the main gate the ranger had just locked it due to the recent snowfall but that wasn’t going to stop us! We hiked 2 miles through the snow but it was so worth the extra sweat. Sitting in the outdoors pools in complete solitude as the snow falls all around was one of the coolest and most special experiences of my life. Zion National Park has been on my “must see” list for a while. Not only did I get to see it for the first time this year, I also got to visit it with my family that I hadn’t seen in months. Zion gives off a special Wild West vibe as soon as you enter the park with a road that is colored dark red to match the surrounding mountains. The only thing that it’s missing is a ranger riding around on a horse. 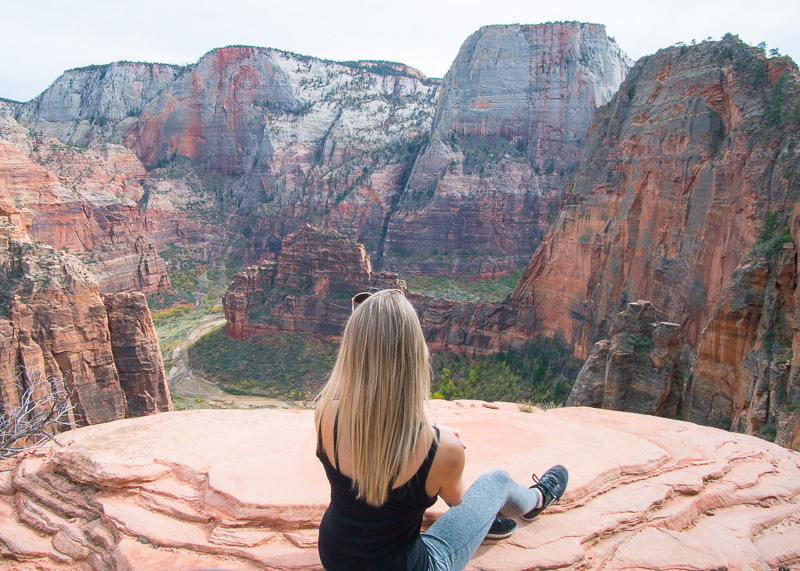 Zion is a highly visited park and there is a great reason for that. The views from hikes like Angel’s landing are some of the best I had ever seen in my life. If you’re lucky enough you might even run into a goat or two on one of the hikes. 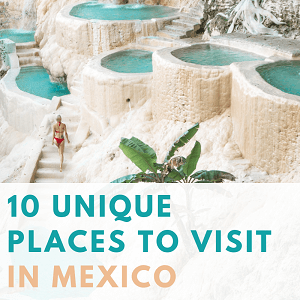 Most people go to Cabo for cheap beers and margaritas, but one of the most beautiful natural wonders is located within a few minute boat ride from the coast. The Cabo Arch is a huge rock arch located in the midst of the bright-blue ocean. 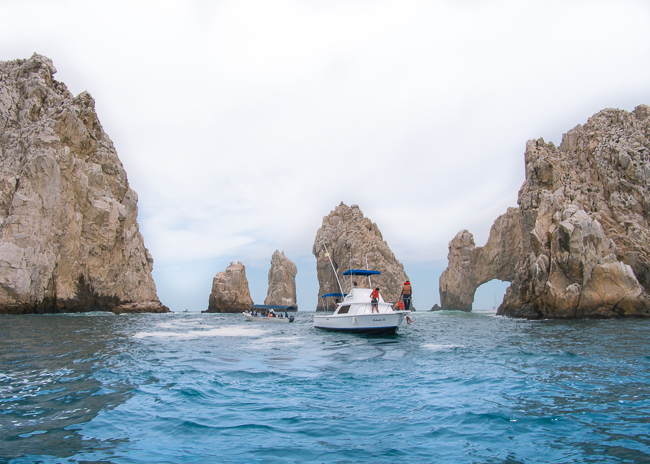 If you’re ever down in Cabo, put down your Corona, grab a local boat tour and go see it! You won’t be disappointed. One of my road trips this year included driving from San Francisco up to Oregon. 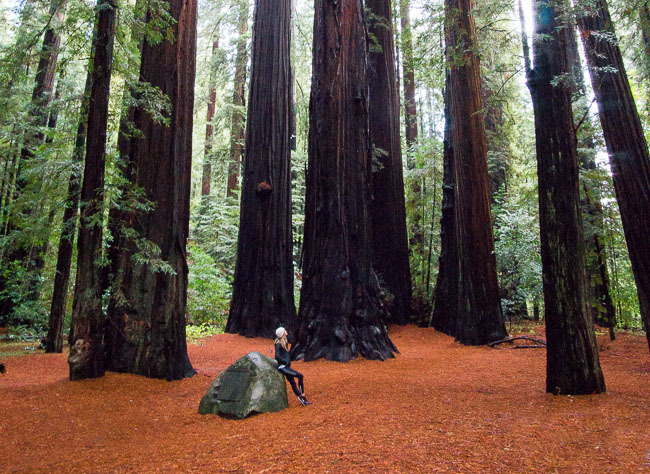 Although most of the trip it was raining and we could barely see a few feet in front of the car, just for one magical moment the rain stopped and we were able to take a hike through the beautiful Redwood forest in California. Being surrounded by these gentle giants made everything else seem so small in this world. It was a good reminder that no matter what, some things will keep standing tall even thousands of years after us. Most of my life I have lived near the beach but the Oregon beaches are like nothing I had ever seen. Most of the Oregon coast is covered in large beach rocks scattered throughout the coast, magical caves, and cute lighthouses. 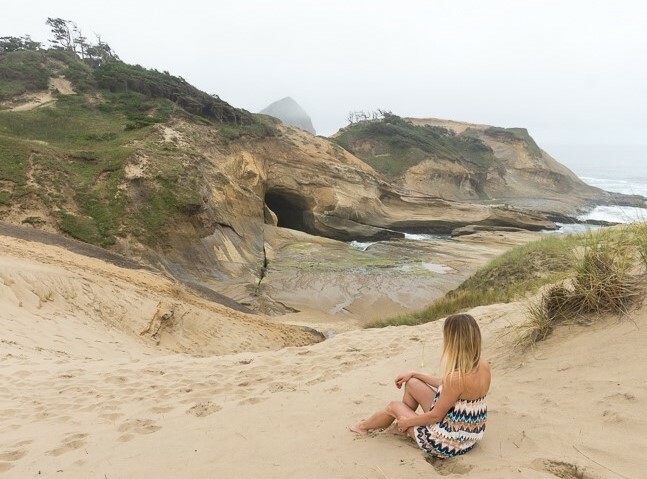 My two favorite places along the coast are Cape Kiwanda and Cannon Beach. Along with humungous signature rocks in the ocean, these beaches are surrounded by cute villages that are the perfect weekend getaway. After a walk on the beach, nothing sounds better than grabbing food and a beer at one of the local village breweries. To finish the night, drive or walk onto the beach where you can set up campfires anywhere you’d like! North Cascades National Parks was one of the first parks I visited in the PNW. It’s hard to pick out just one place that I loved at this park because it was full of small little gems along the way. Surprisingly it is actually one of the least visited parks in the US yet to me it was one of the most beautiful places I have seen. The Sahale Pass hike reminded me of the Swiss Alps with green mountain peaks covered in snow that every once in a while would rush down the mountain creating avalanches. The Diablo Lake is one of the bluest and prettiest lakes I have ever seen. 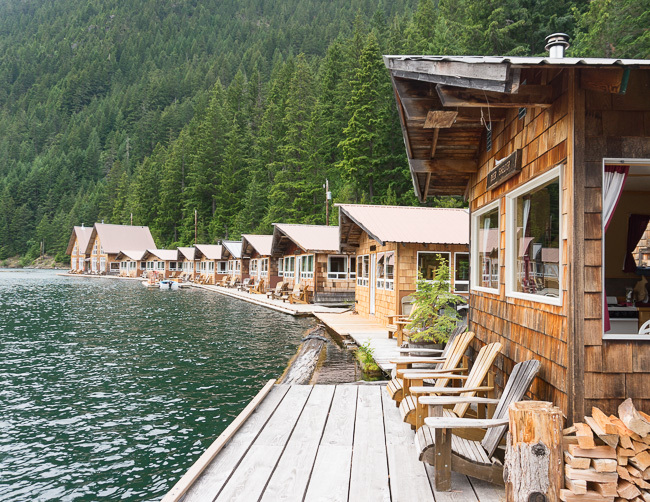 And my favorite of all was Ross Lake Resort, a floating lakefront resort hidden away from the public and only open to private reservations. Not many people know about this resort because reservations are almost impossible to get and it requires hiking a few miles just to get there from the road! But there are not many things that sound better to me than sitting on a lakefront chair in complete solitude away from the city noise and hassle. I don’t know what 2017 has in store for me yet, but I hope to visit and see as many amazing places next year as I did this year. In the end, it’s not the job we have or money in the bank that matters, but the experiences we have that bring us happiness. Thank you so much for your kind words! I hope you get to visit some of these places. I 100% recommend them all! Really well written! I’m planning to take a few weeks out of this year to visit the PNW and your words and pictures have definitely been some of my inspiration for that. Keep up the amazing work and best wishes to you on all your travels this year! Thank you so much, Dave! I am glad you are getting the chance to visit PNW this year. If you need any tips for places to see and things to do, don’t hesitate to ask! Cheers! Thank you so much for your kind words, Marina! Best of luck with your business and Happy New Year! I love your short descriptions of each place given from yoir point of view. It makes it so much more intriguing to want to visit these places and gsin my own unique experiences. 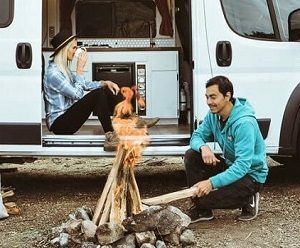 One of the best blogs i have come across in my “road trip” family research that completely sells me on what I should not miss on this adventure. Although, as you know first hand, adventures sometime take you places ypu havdn’t planned on discovering. That is a different blog you will be writing if you haven’t already. Great read! Thank you, Sheia! I hope you get to discover some of these places for yourself in the near future. So many places I visited this past year were not planned and I found out about from Instagram photos or word of mouth. Sometimes those are the best experiences! Cheers, Laura. Are you happy with your decision to have moved to Oregon ? I am! I only lived in Oregon for a year, but it was such a great experience. 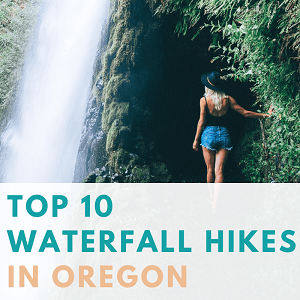 Oregon is an amazing place for hiking, backpacking, and outdoors activities. Are you thinking of moving there as well? All of these places look amazing… great post! I feel like we need to go to all of them.